Primary Music lessons should be active and involve the whole of the class – just listening to recorded music or singing together is not enough. Instrumental music-making goes a step futher and teaches new skills of musicianship, music-reading and ensemble-playing. The prepared teaching-resources enable any class teacher to meet the requirements. 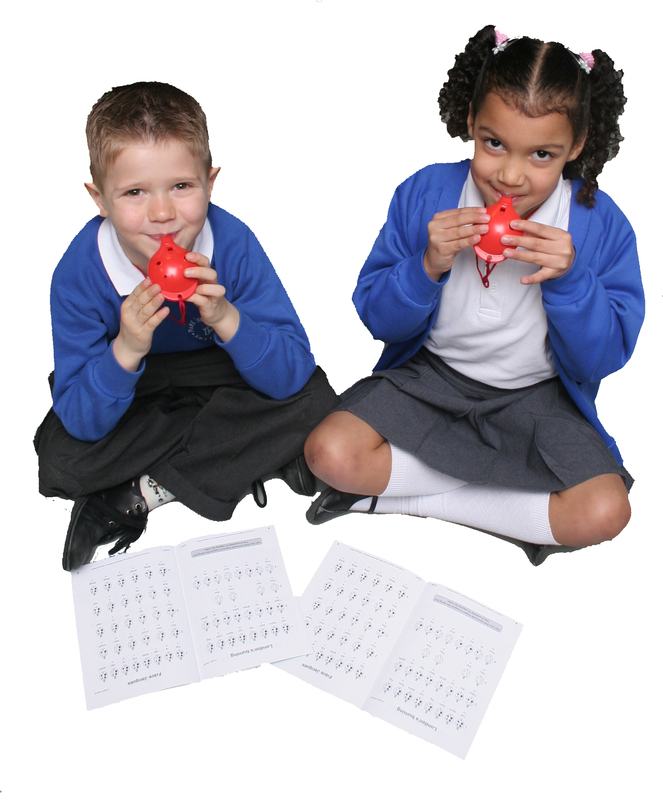 …plus remember you can include Ocarina-playing in cross-curricular themed lessons – eg: ‘London’s Burning’ for the Fire of London, ‘Daisy Daisy’ and ‘All things bright and beautiful’ for Victorians, ‘Greensleeves’ and ‘Now is the month of Maying’ for Tudors – all in Play your Ocarina books – and ‘Buzz’ and ‘Sound Check’ for space exploration in 1-2-3 Ocarina. We are exploring cross-curricular Ocarina-playing at the moment, so please email us your requirements, interests and project topics. We have ideas for playing and singing in foreign languages (including words to ocarina music already in print) and are also looking at the music of the Maya – Ocarinas, flutes and drums – just right! Explore the Primary Music Programmes of Study which we have annotated point-by-point with suggestions for Ocarina content. We hope that you will soon feel confident enough to deliver Ocarina lessons. We are ‘ocarina experts’ and primary/secondary teachers ourselves – here to help as well as provide the instruments, ocarina music and teaching resources. If you are unsure about anything – just ask!